The following instructions will walk you through the process of how customers can reset their account password for their customer account in your store. 1.) Navigate to the Sign In page for titanimplants.com store. 2.) Click the Forgot Your Password? link at the bottom of the Sign In form. 3.) 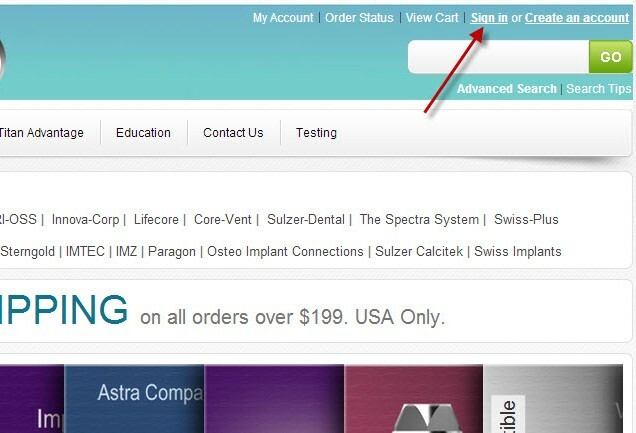 On the next screen, enter the email address associated with your Customer account on titanimplants.com store. Note: This needs to be the exact same email address that used to sign up for Customer account on titanimplants.com store. It will not work if it is a different email address. 4.) 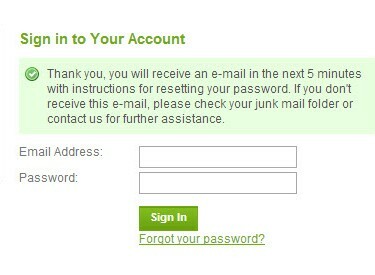 If the last step was done correctly, you will be taken back to the Sign In page, and a message will display informing the customer that an email was sent to your email address, and that this email has a link that you need to click in order to go forward with the password reset process. 5.) Now that the password change has been requested, an email will be sent to your email address. The email contains a link, and you need to click this link, otherwise the password will not be reset. Below is an example of what the email looks like. 6.) Once you click on this link, you will be routed back to your store where you can change your password. Once you have put in your new password, you will need to click Continue. 7.) 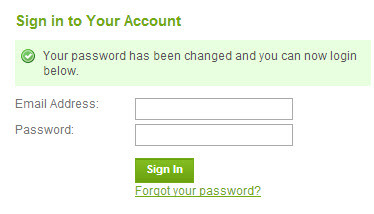 You will now get a confirmation on the page that your password has been reset. You will also receive a confirmation e-mail with your new password.